Modern, monolithic and minimalist, Hercule is a single-family home designed like an iceberg — the bulk of the building is hidden while the visible portion emerges out of the ground like the tip of an iceberg. 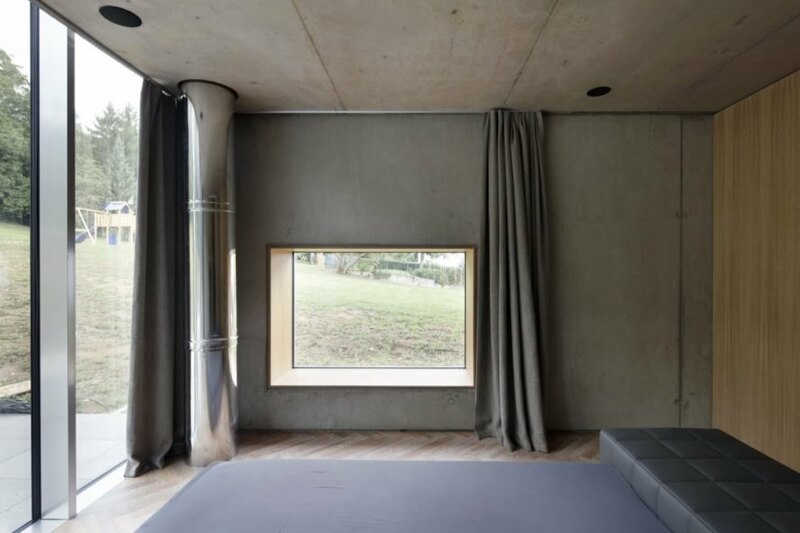 Named after local hero John “Hercule” Gruen for its “robust strength,” the house located in Mondorf-les-bains in the south of Luxembourg is the recently completed work of local architecture practice 2001. 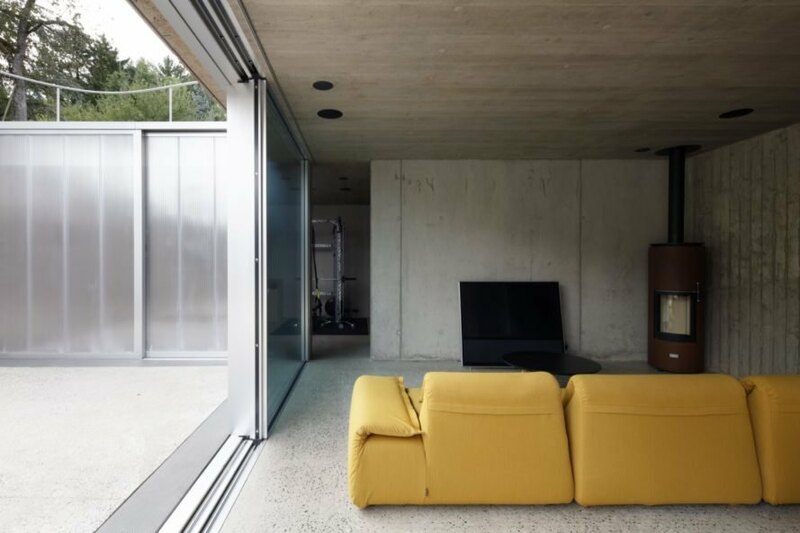 Embedded into the sloped terrain, the concrete dwelling further immerses itself into the landscape with a massive wall of solar reflective glass that mirrors the surroundings. Located on residual land between an old farmhouse and a suburban villa, the project site had a sloped terrain that the architects decided to turn into a design attribute rather than an obstacle. The natural context determined the layout of the home’s three floors, which step down the slope from west to east. Covering a built footprint of 446 square meters, the home appears deceptively compact from street level because of the spacious basement level. The main living spaces as well as the technical rooms are all located on the basement floor, which includes a two-car garage, a fitness and spa area, a wine cellar, storage and the open-plan living room, kitchen and dining area that open up to an enclosed outdoor courtyard through full-height glazed sliding doors. The dimensions of the open-plan living area — measuring 14 by 6 meters — is repeated on the two floors above ground that house the bedrooms and bathrooms. 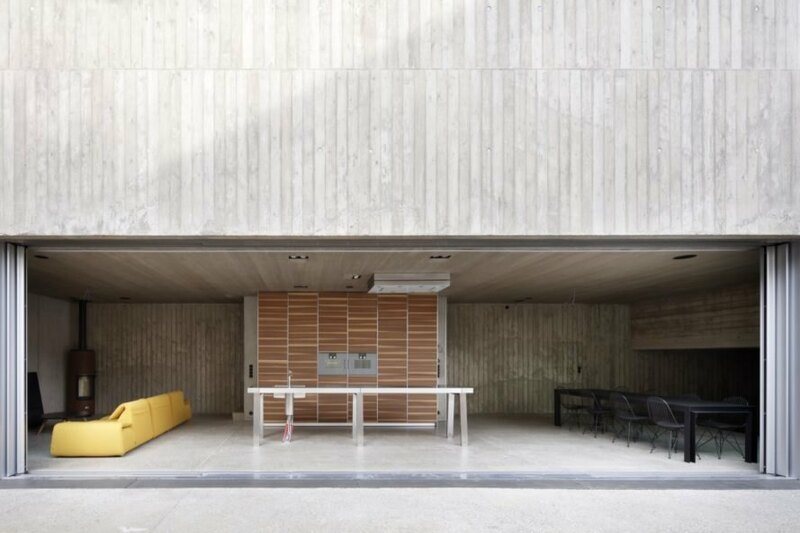 Minimalism is stressed throughout the design, with the main structural elements visible and enhanced through formwork and sanding. Solar protective glass clads the east and west facades, which are oriented toward the street and the garden. 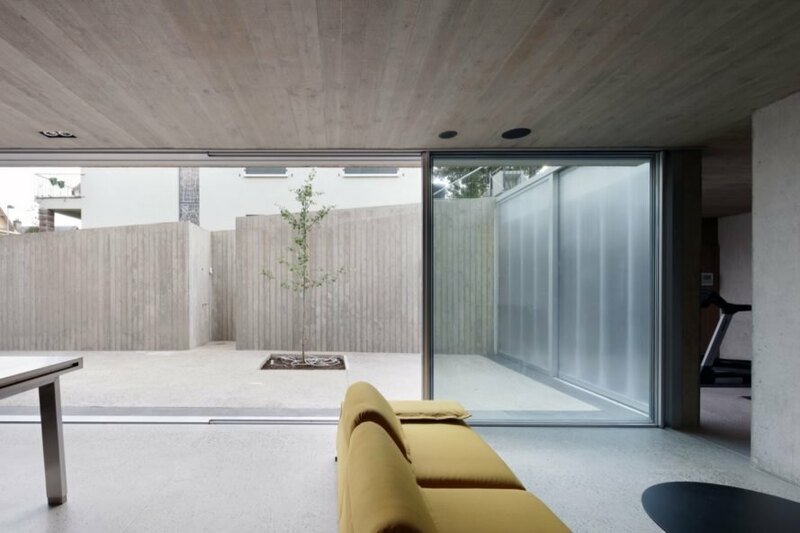 To the south, a blind béton brut wall serves as a beam for the upper two floors to ensure a column-free living area below, while the north side is punctuated with garden-facing openings. 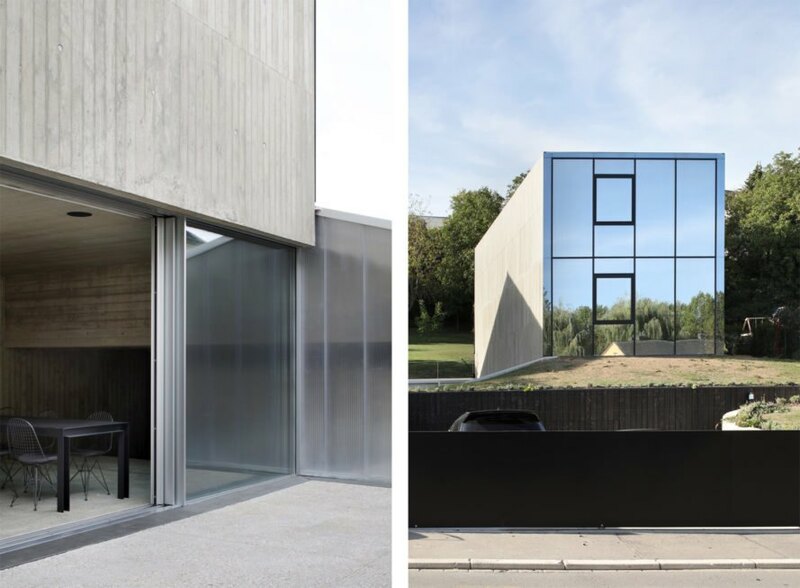 Luxembourg-based practice 2001 designed this unique home. The home is embedded into its challenging site, causing it to resemble an iceberg. The house is named Hercule after a local hero. Aside from being built into the landscape, solar protective glass and operable glazed walls further tie the home to its surroundings. The open-plan living space opens directly to an outdoor patio. The doors can also be closed during colder days. The patio is ideal for entertaining. The design exudes a minimalist feel. The north side of the home is punctuated with garden-facing openings. Sleek storage keeps clutter at bay. The bathroom feels much like a spa. A soaking tub looks out over the suburbs. The single-family home spans 446 square meters. The main living areas lie on the lowest level, while more private programming is housed above.